If you’ve been reading here for long you know that I write articles for magazines throughout the year to help cover the costs of this blog. Magazines are often asking for topic ideas for their articles, things gardeners might be interested in reading about. I’ve been discussing this with my gardening friends, coming up with a list of topics that I could write about in the future. Then I realized my best resource was YOU! So gardening friends – what kinds of articles are you interested in reading about in gardening magazines? If you are a cold climate gardener, what sorts of topics specifically interest you about gardening in a northern climate? Is there a certain vegetable that you’d like to know more about growing successfully? I’m not sure if you grow brussel sprouts, but I’ve always struggled to get sprouts. Huge plants with little sprouts. Also, I garden in Michigan, so I am interested in extending my season as much as possible. 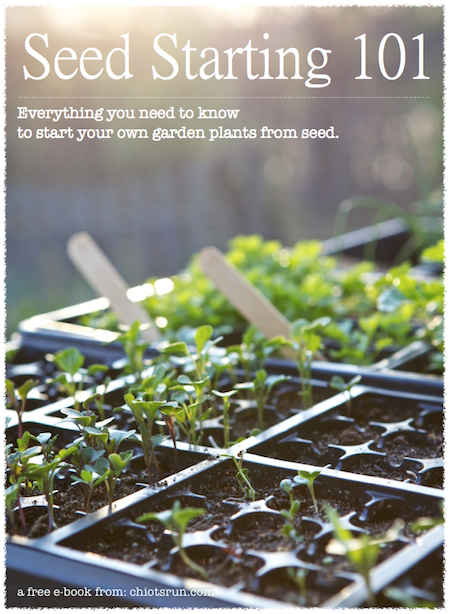 What veggies to grow early/late, when to plant them, how to keep them alive, etc. Susy, my biggest interest right now is wild critter control. I know that you have addressed that issue with protective animals that are bred to keep predators away. Right now the hot topics would be about seed starting and planting techniques. Summer for me would be about keeping plants healthy, supplemental feeding, and watering. Fall would be about harvesting and preserving. From reading your blog and listening to your podcast when you had one, I know that your knowledge extends to all these areas. When writing magazine articles, you indicate that the subject of the article comes from you. I always thought the magazine dictated the subject to be written about. For me an article about the process of submitting garden articles to magazines would certainly perk my interest. I’ve had a some what very low down on the list desire to pursue being published but never really knew how to do it. Good luck with the article writing and have a great article subject brain storming day. I have trouble sensing when to transition crops. I grow in raised beds and I try to plant spring veg and then summer, but knowing when and how long to keep the spring stuff is hard for me to grasp. Maybe it’s a patience issue? I would like to know more about soil blocks with recipes for the soil mixture. How to use them, water them etc details. Recipes for the mix that is easily found locally without having to get specialty items sent to you. I live very rural shipping heavy bags is expensive and driving an hour to maybe find what I need that odd ball thing is a pain. Everything I’ve read online is so vague or vogue using ingredients that are popular but no one can get without a passport. Simple use, details from start to finish, pros and cons, and supplies. Oh and the different sizes you can get are they useful. You had a post earlier this winter about watching the snow melt to determine planting locations. I’d be curious to learn other tricks for situating garden spots around a property. I have limited time and use the #wycwyc (what you can, when you can) philosophy when it comes to gardening. I’d love to hear about how to design gardens that take small amounts of time to maintain. Perennial Veg gardening and Forest Gardening are both topics I’ve been looking into as possible ways to help with this. I’d love to know more about eradicating invasive species. I’m having a really difficult time with a variety of catmint that has totally taken over my back, tiered gardens. I bought this house a little over a year ago with great plans to bring the gardens back to life, but the catmint is getting me down. It seems to be a variety that spreads both by the roots and seeds. I have been digging them up by the roots and trying to pull the smaller ones, but they keep coming right back. Last fall I tried the smothering technique and laid burlap coffee bags over a smallish section. I haven’t taken them up yet this spring, but am hoping that will help. I’d also love to know a little more about perennial gardening. I garden in southern Michigan, Zone 5. Permaculture, and specifically growing perennial crops in a cold (zone 5 or below) climate. Funny you ask for topics today. Just this morning I was looking at a section of my yard that is full of vines and not terribly useful. The trouble is it is partial shade. I do not wish to have another flower/perennial garden, but would prefer it be something productive. I was going to start to research what I could plant that may yield something, but not be a traditional garden plot. I was thinking about some sort of berries as an example. I enjoy your blog and just thought I’d pass along the question. I am a northern gardener and also have to contend with very windy conditions. My biggest struggle is garden design; beds facing north to south? East to west? Also how best to use cold frames/tunnels. Covercrops…best cover crops for which deficiency…and start to finish how to grow them and when to cut them down…I always screw this up!!! I agree with the cover crop suggestion, I am interested in them but despite knowing a little about them I am still too unsure to try them. Also blossom end rot in tomatoes, drip irrigation, hollyhock rust, and those pesky little white fly’s. I guess you now know all about my problems :) I enjoy your blog. Thanks! 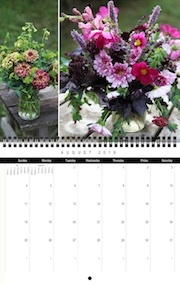 I would like to read about beautiful, effective vegetable-herb-flower combinations for a potager, with lots of pictures for inspiration. I’m also interested in natural indicators of when to plant what. For example, I know that it’s warm enough to put in my tomatoes if I see my lily of the valley blooming. I’d like more examples. These are all very good topics to address for most gardeners. I personally like to read articles pertaining to organic methods of gardening, native planting for (beneficial) wildlife and methods for conserving water in the yard and garden. Aren’t WordPress blogs supposed to be free or do they charge for certain themes, etc.? I’m talking about hosting, my blog would be way too slow if I used free WordPress hosting. I have a dedicated server which costs me about $140/month right now. Hi Susy, thank you for your wonderful and thoughtful posts. I do not live in a northern climate (I live in the Southeast, zone 8b) but would like to learn more about weed identification in particular regions to help determine soil alkalinity/ ph. I am an avid gardener but tend to garden at a level just below soil testing. I would like to know what organic matter or acidity I can add to my beds by identifying common pervasive weeds. It might be interesting to do this on a regional or gardening zone level. Thanks for reaching out. First of all, I love your blog!! I would be interested in anything you do about butterflies. Since the butterflies are on a decline, I love to learn ways to help them either in my garden or in open fields on my land. Thanks! I garden in zone 5 and second the herb/flower/vegetable combinations. I’m also curious about succession planting. I come across mentions of it but don’t actually know what to plant when (eg) my peas are done. Or more about fall gardening. I would also love something that shows how you gather your saplings and build your supports/trellises. I guess this is more about garden structure and using what you have. I love to read articles about cooking with garden bounty. Also – I would love to know more about what you grow specifically for your chickens (herbs for their nesting boxes etc) or even how to have chickens and a garden! Thank you! I know you have mentioned writing for Grit magazine (which my MiL now gets and saves for me). Could you list other publications or shall I do a web search? Uses for herbs, e.g. medicinal etc. I don’t expect the information to be a full account or description as much as a discussion perhaps. Of course, I can look up this info myself (and have), but feel it’s easier to remember when in discussion form or from someone I easily relate to (you and your readers). Same as above- companion planting and critter control! I FORGOT! Something about amending soil with rock minerals. I remember from the podcast maybe? that you learned about it… I am curious and maybe it would be along the fertilization topic. Thanks! I’ll echo “how to use cover crops in a SMALL garden.” I’ve tried using them a couple of times but then faced the challenge of what to do with them once they are grown???? I try to minimize tilling and use raised beds….how does the backyard gardener get cover crops to quit covering???? I would pay good money for that article…no one seems to have written it yet! I would love some articles on what to do to veggies once they are picked so they store well in the root cellar.